Viruses are classed as 'obligate intracellular parasites' and so they have to get inside a host cell, whether they are bacterial, archaeal or eukaryotic. In the case of mammalian viruses, which I have the most experience in, this is a key aspect of how viruses infect, cause disease and transmit themselves from one host to another in a population. In fact it is probably the most important event in the virus life cycle (here's a great link describing the replication cycle of HIV). Example: Viruses like influenza that really only get inside lung cells will be respiratory transmitted and may cause lung diseases while viruses like HIV that get inside your immune cells and find themselves rushing around your blood stream will only spread via contact with bodily fluids. This is the same for every other human virus in existence. However one major obstacle to getting inside your cells is the cell membrane, which is impermeable to particles the size of viruses. The virus must coax or force its way into the cell cytoplasm where it can begin its replication cycle and make new virus particles. 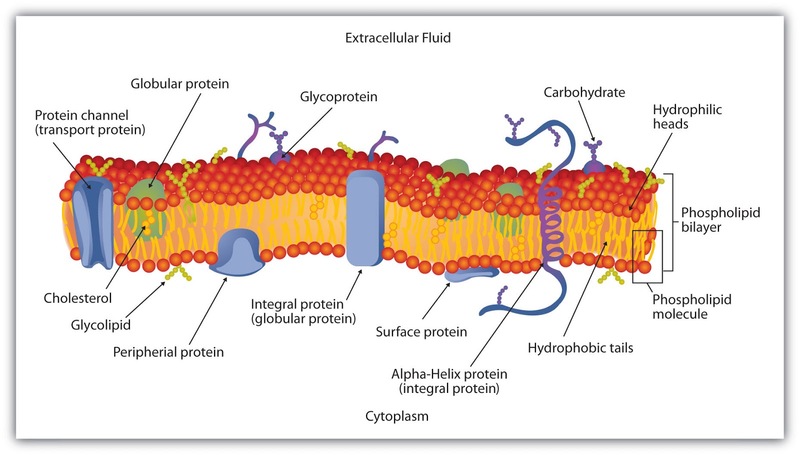 This is what a virus has to contend with: the plasma membrane. But what molecule on the surface will it interact with? The first step in the process, which is itself the first step in viral-induced disease, virus emergence or in fact the use of viruses in medical sciences, requires the presence of a 'receptor' molecule available on the cell surface. The virus uses this molecule - or even moleculeS - (whether it is a lipid, a protein or even a sugar) to latch on to and trigger the process of cell entry. 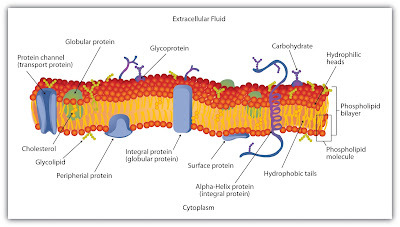 Viruses use a diverse array of mechanisms to gain entry: some viruses fuse their membrane (lipid enveloped viruses like HIV or measles) with the host membrane, while others like Influenza kickstart a process known as endocytosis to force the cell to bring the virus inside or even viruses like ebolavirus induce a pathway called macropinocytosis that gobbles the virus particles up. There are two caveats to this simple story: 1) entry can be enhanced or repressed by co-receptors and 2) is that viruses don't even have to use these receptor molecules to get inside our cells, they can 'merely' use it to latch on to a move with a host cell. I guess this would be analogous to bacteria latching on to the surface of a cell as in the case with whooping cough. It has been described for the deadly Nipah virus. No matter how this happens it is safe to say that the virus-'receptor' interaction is one of the most important points in the virus life cycle. And it is also a good place to start if you want to design antiviral drugs. Or to understand the biology of a virus. A recent paper out a couple of weeks ago describes the investigation into just exactly how HIV (one of world's most despised viruses) is able to infect some of your immune cells, the major target cells for virus replication and disease (AIDS). 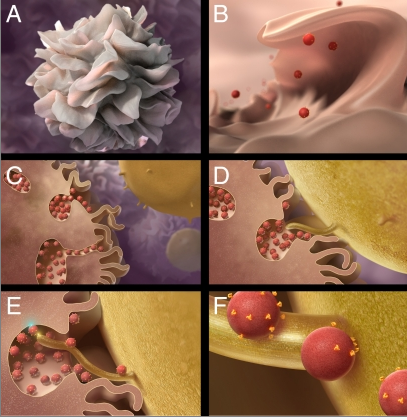 Dendritic cell/T cell interaction (synapse formation) - a natural process that HIV takes advantage of. 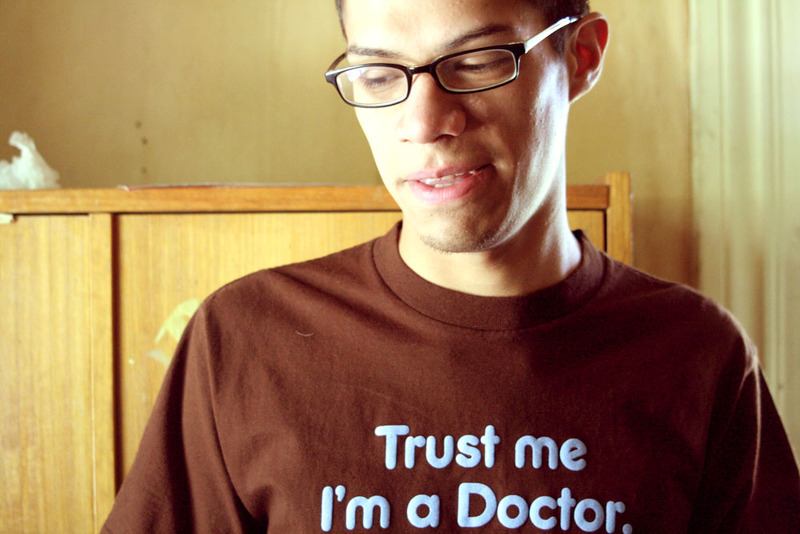 This virus does so partly through a process that is known as 'trans'-infection'. That is they are passed from one cell (a non infected cell, in this case a type of dendritic cell - myeloid to be precise) to another cell that they can infect, again in this case a kind of T cell. Note: HIV cannot infect myeloid dendritic cells or mDCs but nevertheless they play a big role in pathogenesis. They achieve this feat through the generation of a cell-cell connecting dock or a 'virological synapse' in the literature. This functions to concentrate HIV particles on one side as well as bringing together the viruses 'proper' entry receptors on the surface of the target T cell. HIV uses this process to replicate itself, cause disease and hide out from your immune system. Most of this goes in your lymph nodes following initial exposure to the virus but it could play a role in initial entry in the mucosal tissues of the genital tract for example. It could also explain why HIV can resist antiviral drugs. This is what is called the 'Trojan Horse' theory of virus infection and it has been implicated in the biology of other viruses as well, like measles and influenza. Now a few years ago they had thought they had found the molecule, a protein called DC-SIGN (see a review here), that was found on the surface of these dendritic cells and could strongly bind HIV particles (its proteins for example) and may allow their trans-infection to T cells. But as is always the case in good science, they encountered some evidence that went against this theory: the HIV particles were rapidly degraded by these cells and could never go on to 'trans-infect'. And so the hunt for another 'receptor' molecule that would also fit these criteria: upregulated in mature dendritic cells (these are the ones that do the most 'trans-infecting', bind HIV membrane components (evidence showed that it did not bind proteins) and finally physically allow trans-infection and not facilitate virus degradation. In pops a molecule called Siglec-1. 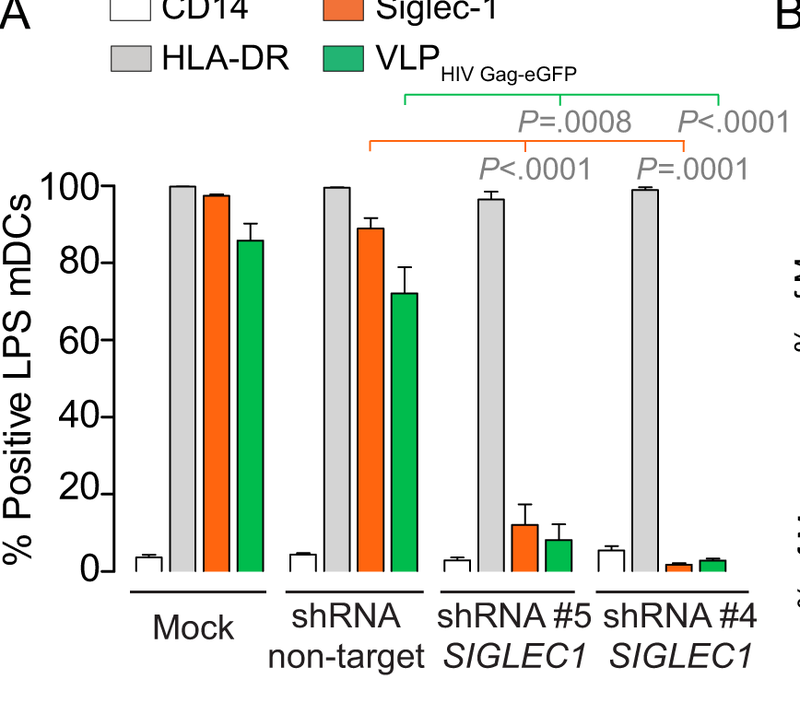 This paper presents a number of experiments that address the role of SIGLEC-1 in HIV trans-infection but lets deal with each of these in turn to see if it fits the data. 1) Is it found on trans-infecting dendritic cells? They purified populations of human, LPS-treated (trans-infecting) mature dendritic cells and compared their gene expression profiles with non-trans-infecting dendritic cells and one of the most significantly differently expressed genes was one called SIGLEC-1. This was also shown explored by cell surface expression analysis. However, many other genes (it was the 20th in the list) were differentially expressed, they focusses their analysis on this family as it is known they specifically bind to HIV particles, specifically their sugar molecules. As earlier work showed. 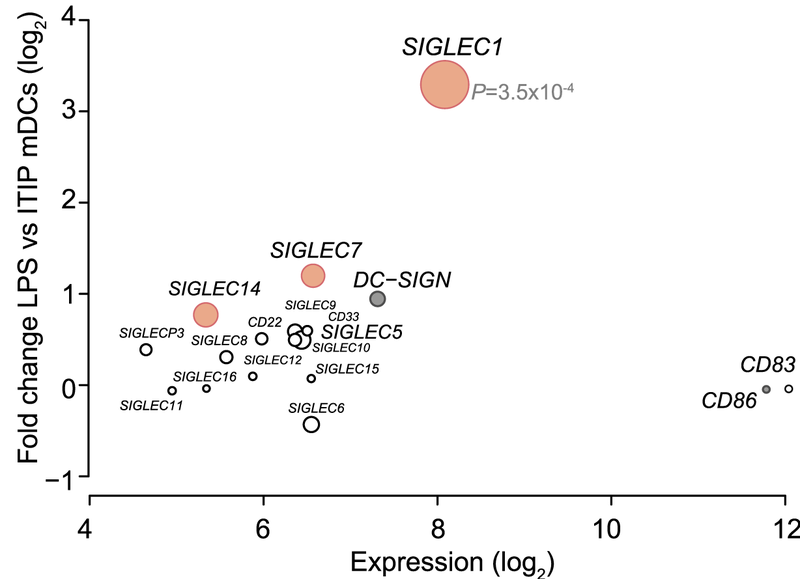 Anti-SIGLEC1 mAb inhibits a range of 'capture' phenotypes. They effectively did this by utilizing an anti-SIGLEC-1 monoclonal antibody and by treating cells with this they explored whether the likes of virus binding was inhibited. To test this they used virus-like particles - or VLPs - (particles that look like HIV but lack surface glycoproteins or genome - essentially a sphere of cell membrane), membrane vesicles and exosomes as well as 'real' HIV virus. The anti SIGLEC-1 antibody really reduced the level of virus and VLP binding as well as that of other membrane vesicles and exosomes. They both also co-localised with each other inside the dendritic cells in a 'sac-like' compartment ready to 'trans-infect'. HIV particle/SIGLEC1 colocalisation inside dendritic cells. To show that SIGLEC-1 ONLY binds to membrane components they should have tested whether it could bind HIV particles with glycoproteins but lacking sugar-coated membrane molecules. I'm not sure how feasible this is but they did not do it. They went on to use the anti-SIGLEC-1 antibody to block trans-infection, so not just virus binding this time. It clearly did inhibit trans-infection, although the results were only approaching significance. However, in another time of dendritic cell they were able to get extreme inhibition. They could also observe co-localisation of SIGLEC-1 and HIV at sites of cell-cell contact, what looks to be a 'synapse' structure. Finally by upregulated the expression of SIGLEC-1 and silencing it in mature dendritic cells they could influence the same virus capture and transinfection. 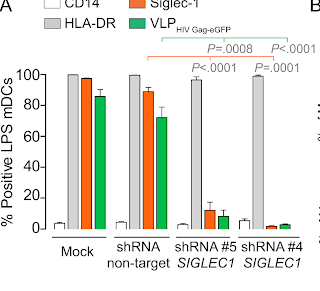 a specific role for SIGLEC1 in HIV capture on mDCs. 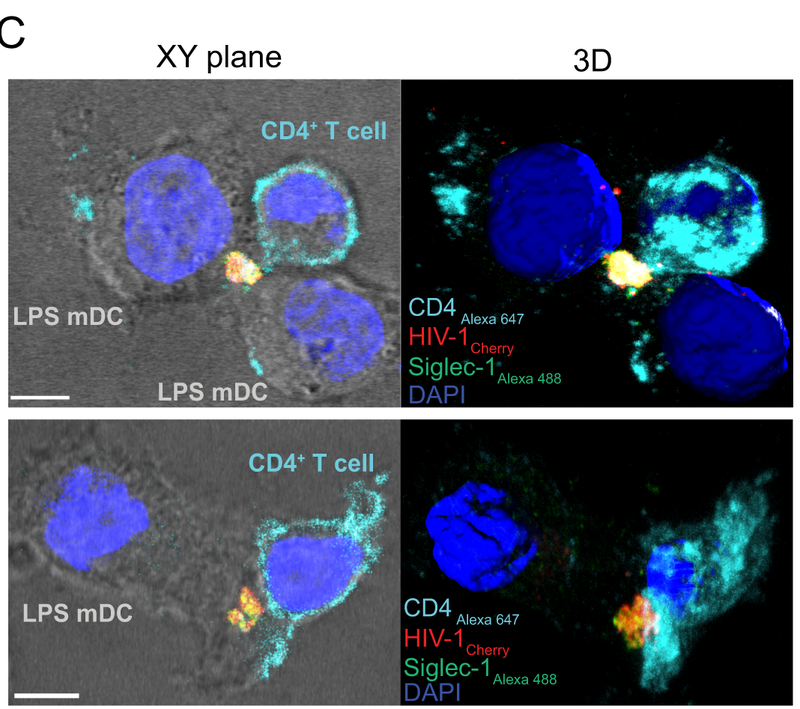 What this paper clearly describes - using a range of techniques to explore a single hypothesis - is that SIGLEC-1 controls HIV particle (in particular its membrane envelope, although whether it can also do so via viral proteins is not certain) capture AND trans-infection between human LPS-treated 'mature' dendritic cells and CD4+ T cells. Is it all that is needed for this behaviour? It is obviously a very important component of a structure on the cell surface that captures virus and is involved in cell-cell contact that itself mediates virus trans-infection. To show that it is specifically doing the virus binding itself you would need to ablate that function by knocking out binding activity. Whether other molecules are involved is to be seen but they would not be playing such a prominent role. One piece of evidence that is missing from this story is any in vivo or ex vivo examples, although I'm not sure if there are any models in existence for tissue-resident/lymph node dendritic cell function or even whether if a mouse model for SIGLEC-1 function should exist, would this be useful in the case of a human HIV infection I don't think so? However the paper cites a number of studies exploring the in vivo expression of SIGLEC-1 in a range of tissues. This paper doesn't discount ALL roles for DC-SIGN in HIV biology but it does dampen its prominent place as a protein (as first shown in this paper) that controls virus capture and trans-infection in a major way. Especially considering that it is expressed very lowly on mature dendritic cells. The authors note that because SIGLEC-1 can bind to membrane components while DC-SIGN interacts with proteins and the fact that HIV particles have a far greater amount of membrane than proteins it is SIGLEC-1 that would be more important in real life. However, the relative role of mature versus immature dendritic cells in any stage of HIV infection and replication is unknown. DC-SIGN may still function in the biology of other viruses, such as measles where there exists evidence showing a DC-SIGN measles glycoprotein interaction facilitating binding to immature dendritic cells and may be involved in the early stages of measles infection. 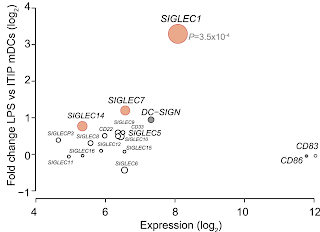 However this could be down to correlation between DC-SIGN expression and SIGLEC-1 expression in dendritic cells. The adequate experiments have not been done in the case of measles. Well carried out w/ good protocols. Lots of evidence for conclusions. May not explain everything: may involve other molecules, not clear that DC-SIGN has no role, in vivo relevance only eluded to. Is it convincing evidence to say that SIGLEC-1 is the mediator of HIV trans-infection? What other evidence would you want to see? Why is their a difference to classical cell entry receptors for HIV and cell-binding receptors like SIGLEC-1? Could you/should you target this molecule? What does it mean for HIV infection and disease? Remember it is an LPS-upregulated molecule and could be implicated in co-infections with mycobacteria. What does it mean for HIV evolution/emergence? Do you think chimpanzee SIGLEC-1 is much different? Is this a reason why HIV could spillover?